Welcome to my blog today! I'm so happy that you stopped by! Today I've got a simple and stinkin' adorable (!!!) card for you that gives you ANOTHER sneak peek at new product from the Occasions Catalog. Now how cute is that?!? I went really simple here both with my design and my color palette. 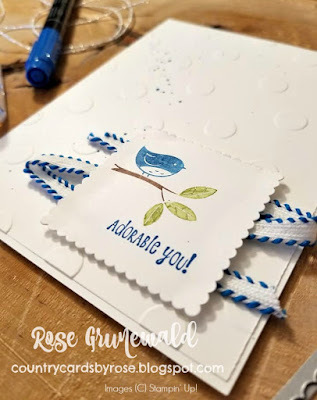 As soon as I saw that little bird in the Petal Palette stamp set I knew I wanted to create a minimalist card with just a tiny pop of color, and that's exactly what I did! To stamp my bird, I dug out my Many Marvelous Markers and colored right on my stamp. Did you know you can do that to make a multi-colored stamp? This technique works so well with the red rubber clear mount stamps. I used Pacific Point for the bird, Chocolate Chip for the branch, and Old Olive for the leaves. I just love how that little bird pops against the crisp white! I zigzagged some Stitched Edge ribbon behind the popped up square for another pop of color. With a white on white palette, sometimes you need to add a little texture. 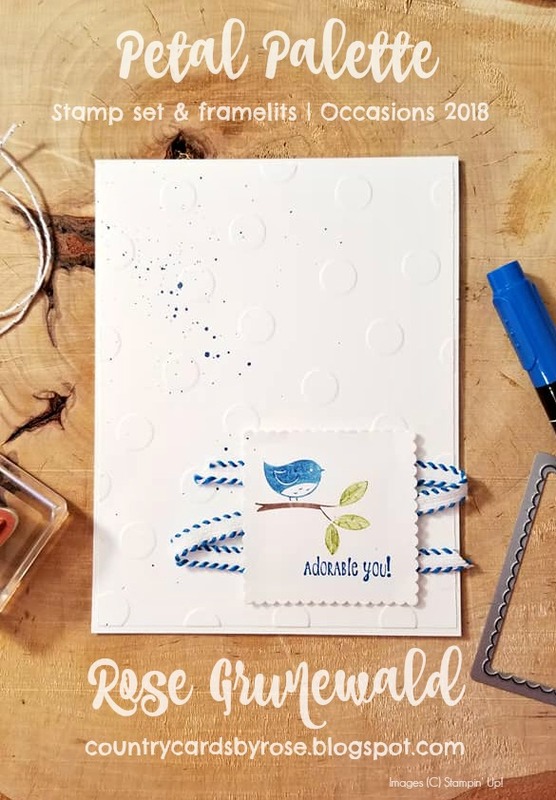 I did that with the Polka Dot Basics Embossing Folder. I also added another little splash of color by doing some marker flicking with my Pacific Point Marker diagonally across the upper left corner of the card. Those little extras always add the perfect finishing touch to a card, don't you think?